In the quaint village of Drymen, Stirlingshire, Paterson Gordon Architecture, with the help of FAKRO have transformed an ordinary, unassuming home into a dwelling which is both visually appealing yet also functional. seeking improved natural light, the clients were looking for a home that matched their lifestyle. Due to the combination of new FAKRO DXF flat roof windows combined with the external timber cladding of the old garage, the ‘annexe’ now has its own identity and unique, individual structure. Various options were investigated, but to achieve both an attractive and functional extension, Paterson Gordon Architects selected nine FAKRO products to deliver light into the building. Six FTW-V P2 centre pivot roof windows, two DXF flat roof windows and one DMF flat roof window were selected to provide the solution. This was for a multitude of reasons, but largely because of their excellent U-values and beautiful design. Now, due to the large glazed area overlooking the annexe, the architects have managed to convert a drab interior into a bright open space. 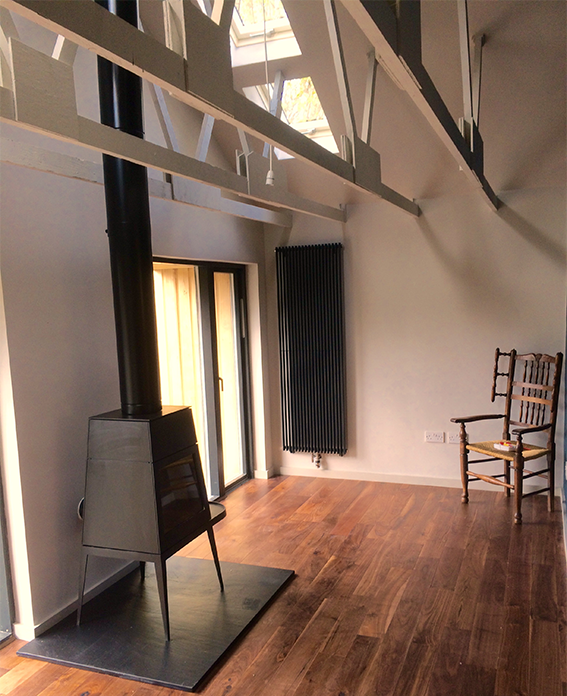 “If the rooflights were to be removed from this project, the space would have a very different feel." 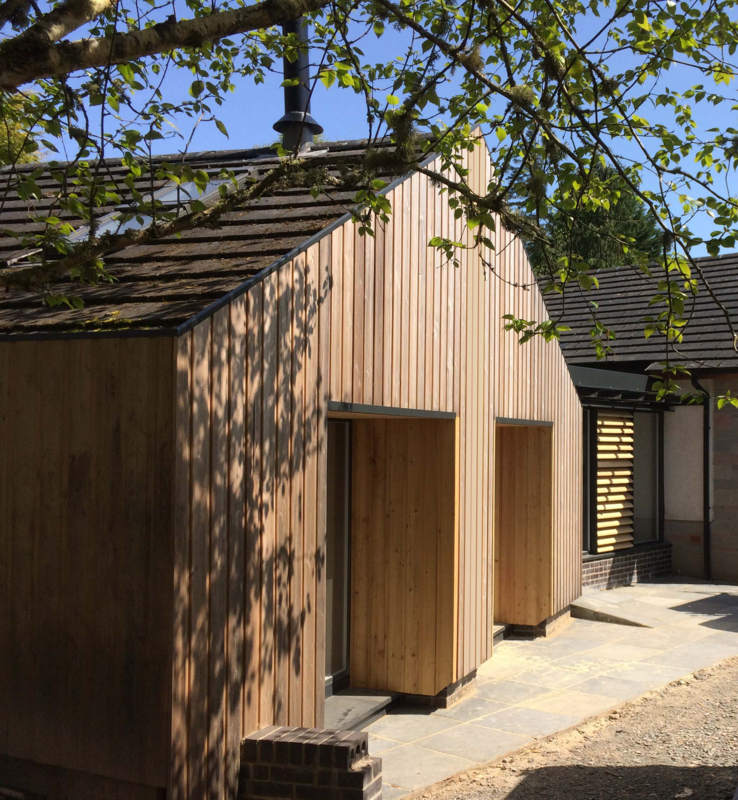 Structurally, this project involved the conversion of a detached, obsolete garage into a liveable area – to create a separate ‘annexe’ allowing its inhabitants to live independently while retaining access to the family. Furthermore, an additional extension was required so the main body of the building complemented the new development. When forming this new extension, a priority was to avoid building a mere corridor between the old and new. 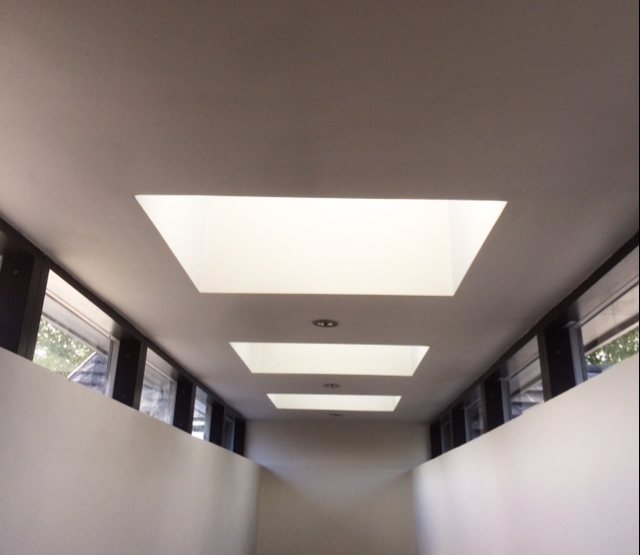 By introducing plenty of natural light with FAKRO roof windows, the character of the corridor evolved, making it an illuminated, pleasant space in its own right. 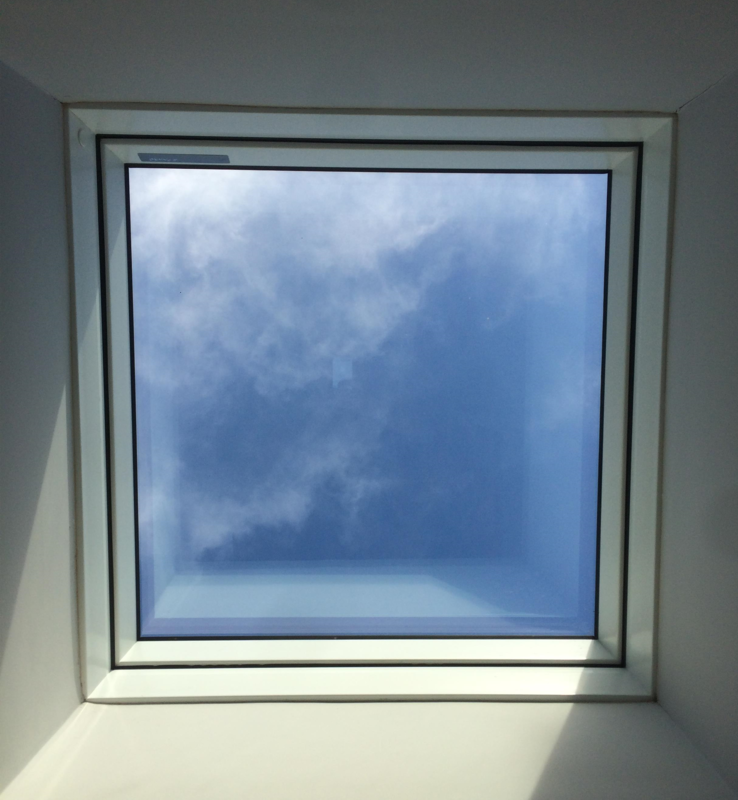 “The variety of products on offer from FAKRO allowed us to pick their centre-pivot rooflights for the existing annexe roof, and the flat roof windows for the extension roof, thus minimising suppliers." Outside too, FAKRO roof windows offered the perfect opportunity to transform the structure and realign its relationship with the garden. This means the home owners will enjoy sunlight and additional views of their surrounding environment, throughout their home for years to come. “The service from FAKRO allowed this element of the project to run smoothly."